Sorting mail electronically is more accurate than manual sorting and allows for higher processing speeds. Stacks are output according to preset counts and zip code breaks established in the mailing list. 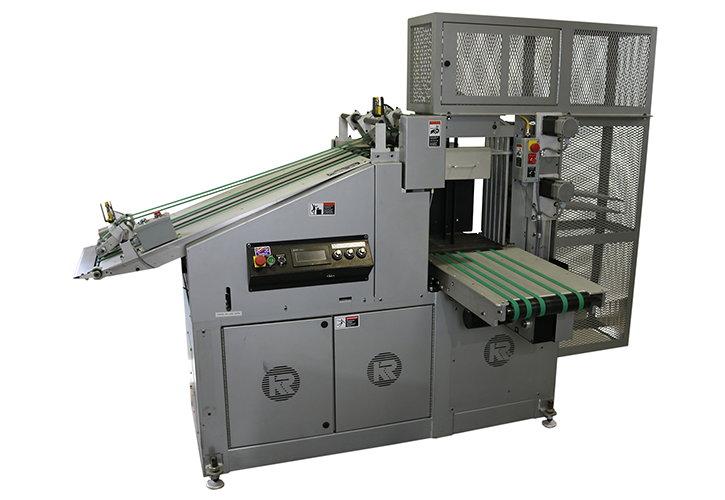 An in-line divert gate ensures accuracy by removing purged mail pieces. Setup is a snap using the on board PLC and operator interface. Priced and built right, the KR 630 stacks the odds of success in your favor. 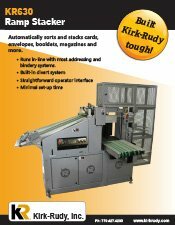 See the KR950 for Kirk-Rudy’s compensating stacker.